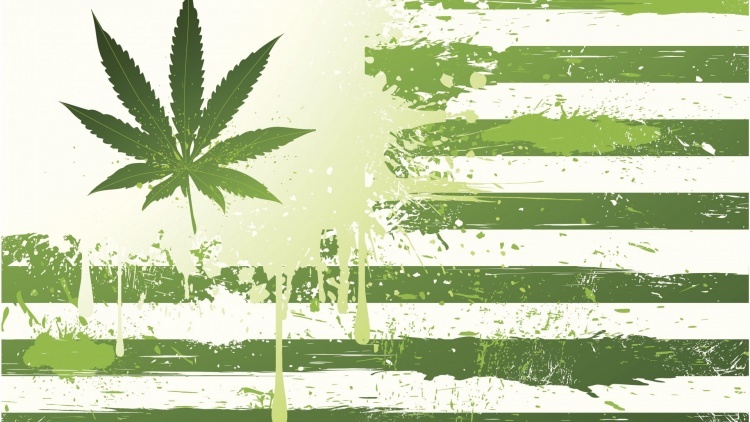 There has been a real struggle in legalizing marijuana across different states in the United States of America. However, States like Colorado had already allowed Marijuana use for medical purposes and with more push from some members of political class and research institutions, there is a likelihood that 2018 is going to see more states follow suit. Vermont had banned the use of marijuana as early as 1915 and only allowed medical use of marijuana in 2004 but later in 2007 it was expanded. From this point on, there have been efforts to legalize marijuana use in the state until now. An official from Vermont has confirmed that the state will be legalizing at least an ounce of marijuana for those above the age of 21. The law also gives room for people to grow at least two plants per individual. By 1st of July 2018, the people of Vermont will be enjoying the benefits of partaking marijuana without having to look over their shoulders. New Jersey is also among the states lined up to legalizing recreational marijuana. There has been mixed feelings about this with part of the population feeling that marijuana should only be legalized for medical purposes; while others think it should just remain illegal and of course, there are those who are actually celebrating the efforts of Governor Phil Murphy. The governor pledged to ensure that he had signed the use and legalization of marijuana within his first 100 days in office! Medical Marijuana has been legal in Michigan since 2008 but it has never been legalized for recreational purposes. In 2007, over three hundred thousand signatures were submitted to ensure marijuana was legalized for recreational purposes. There are official plans to ensure that a system is created where licensed business will be given authority to grow and sell marijuana. Delaware has also not legalized marijuana so far for recreational purposes. This might be the year the change is expected. Use of medical marijuana has been there especially for patients going through serious illnesses. A task force “The Adult use cannabis task force” will be pushing for the state house in Delaware to legalize marijuana for recreational use. Connecticut has for long allowed use of medical marijuana, possession of small amounts of marijuana is also decriminalized. Marijuana for recreational use could soon be legal as the Hartford city council approved a resolution to legalize recreational use. Many people are hopeful that this move will take the discussion to the state level. Oklahoma has been one of those states where marijuana has been legal for all purposes. The legalization will have to be taken through a vote during the state’s primary November election. In Utah use of marijuana was banned in 1915 and only legalized the use of CBD oil for epilepsy in 2014. Activists are working on getting signatures for a ballot to be conducted in 2018 to vote for the approval of medical marijuana. South Dakota has banned marijuana use for all purposes. Shantel Krebs, the secretary of state is reviewing signatures that were collected and this will be aimed at a ballot initiative to allow the use of limited marijuana for medical use. Missouri is also lined up for possible legalization of marijuana. An organization known as “New Approach Missouri” has been gathering signatures for a ballot initiative. Kentucky is also lined up to working on legalizing medical marijuana. The secretary of state Grimes, wants medical marijuana legalized especially in 2018. She pointed out that it is important to legalize medical marijuana for the sake of veterans who are dealing with PTSD and other pains.